At an early age, when most kids are discovering video games and girls, German production wizard Frank Heinrich, aka Reboot, was creating tracks on the studio equipment that he purchased with his small savings. This precocious talent was nurtured by illicit nights out sneaking in to Sven Väth’s Omen club in Frankfurt, Germany, where Reboot grew up. Despite Reboot’s early indoctrination into tough techno sounds, he draws from a variety musical influences. As a producer, his approach borrows sounds from all corners of the musical spectrum from classic house, world music, and even jazz. Alongside friends like Chris Tietjen, Marc Scholl, and Markus Fix, he now spearheads “the new sound of Frankfurt”. The result is what Reboot calls a “complex polyrhythmic architecture” and what dance floors call “dynamite”. Reboot has consistently evolved as an artist without ever losing his initial rush of passion that pushed him out of his career in banking and into the arms the of electronic music industry. In a career that has ranged from early collaborations with Marco Delle, done as Delle & Heinrich, to his current incarnation as a widely demanded solo artist. He has released classic records on labels such as Connaisseur, Supplement Facts, Combi Int., Moon Harbour, Cadenza, Renaissance, and Cecille. His inquisitive musical nature pushed Reboot to constantly experiment with new sounds and rhythms. This has allowed him to develop into a compelling performer who feels equally at home behind the decks or playing live. Reboot’s musical journey has spanned the world, traveling to temples of techno such as Womb (Tokyo), Fabric (London), and Cocoon (Frankfurt), in addition to more intimate settings such as Robert Johnson (Frankfurt) and Brazil’s legendary D-Edge. Reboot has joined the ranks of some of the most respected names in the techno realm, playing a pivitol role in Cocoon’s Disco Invaders compilation and Cadenza’s Æther. 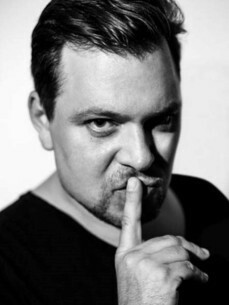 In 2009, he mixed the epic “From Frankfurt to Mannheim” compilation for Cecille Records. Some of his most celebrated tracks include “Be Tougher / Letters” (Candenza) and “Caminando” (Seies Drum). In 2010, Reboot released his eagerly awaited debut artist album “Shunyata”. This distillation of two decades immersed in music, “Shunyata” is the sound of an artist in full command of his medium, mingling intelligent and exotic sound structures with the propulsive, dance floor consciousness that has earned him fans across the globe. The word “shunyata” is rooted in Sanskrit and means emptiness, however, as thrilled audiences will agree, Reboot has redefined this word for the 21st century with a full and wholesome sound. Following the success of “Shunyata” and his performances in Ibiza, Spain, he has carried his musical endeavors throughout the world at major festivals and nightclubs including the Stereosonic Festival (Australia), Winter Music conference (Miami, FL, USA), Electric Zoo (New York, USA), Zouk (Singapore), D-Edge (Brazil), Creamfields (Brazil), and practically every major club in Europe. 2013 kicked off with an extended tour of the United States which included performances at word-renowned venues such as Club Space Miami, Story, Nikki Beach Miami, and Delano.